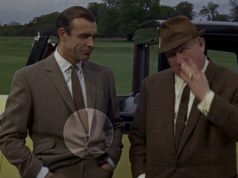 In Woman of Straw, Sean Connery wears a pair of light blue swimming shorts that are now well-known because of Designing 007 at the Barbican last year. 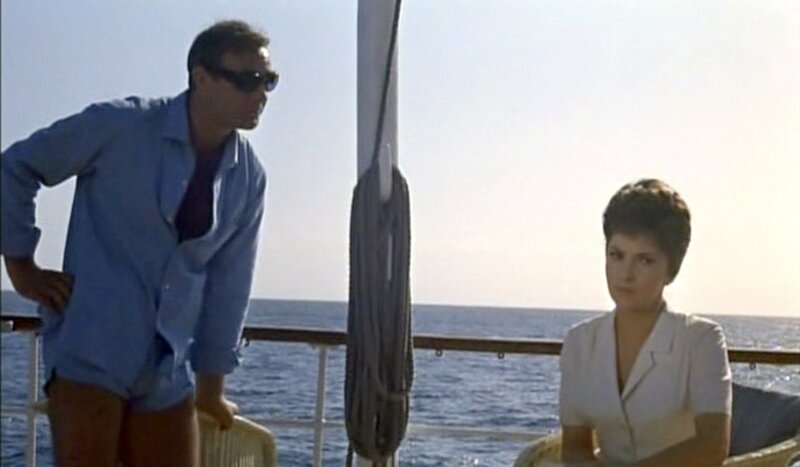 The shorts were hardly seen in the film, but a still (pictured below) of Connery wearing them was found, and Sunspel recreated them for the Barbican show since they were mistakenly thought to have been worn in Thunderball. 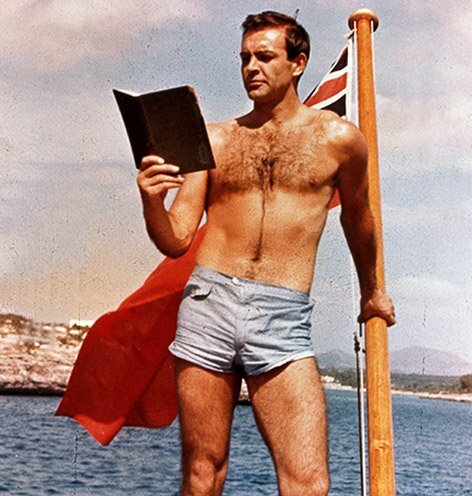 After all, when you see a photo of mid-1960s Sean Connery wearing swimming trunks you first think of Thunderball. Nobody working on Designing 007 thought to check the film to see if he actually wears these. They’re missing the button-down belt loops that define Connery’s Jantzen swim shorts in Thunderball. These shorts might have more in common with the From Russia With Love swimming trunks, which have a similar front pocket. These swim shorts are arguably more elegant and more refined than any that Connery wore in the Bond films. The original shorts have a medium-low rise, an inseam of about 3 inches, an extended waistband closure, and a set-in pocket on the front right with a button-down flap. There is a small round cutout at the at the bottom of the side of each leg. The waist is fitted without a belt. On top Connery wears a light blue shirt with a spread collar and the cuffs rolled up. The bottom is cut with a vent at each side. 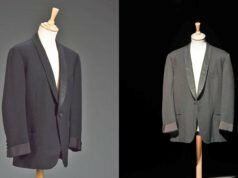 Jantzen, who made Connery’s swim shorts for Thunderball, may have made these swim shorts since they resemble examples Jantzen made in the early 60s. I hadn’t realised that the “Thunderball” swim shorts weren’t actually from Thunderball. What a mistake to make! Matt, there is a better shot with Connery standing at the stern of a boat reading a script. I think the inseam is shorter than 3 inches which is what gives the trunks a more sporting look but the trunks are not ridiculously figure hugging like Craig’s in CR. By the way, he wears a different set of trunks when he swims out to the raft with Gina. I prefer not to use stills on here, but you can see the photo at the link to Sunspel’s website. Yikes, that’s embarrassing. Has anyone corrected them on this yet? They made a number of mistakes, but this one was probably the biggest. I’m sure they know by now. I wrote about it on here in my review of the show, and I know some of the people who worked on the exhibition used my blog for reference. But I have to say, these swimming trunks are nicer than anything from the Bond films. 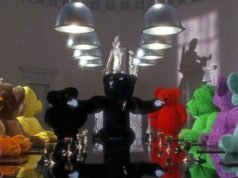 Out of curiosity, why do you consider these ones to be nicer than any of the trunks in the Bond films? Is that limited just to Connery’s films? If so, I agree. However I thought the Orlebar Brown trunks briefly seen in Skyfall were excellent. I think they look more refined than the ones Connery wore in the Bond films. The Olebar Brown ones would be nice if they fit Daniel Craig better. The rise is too short. In the still of him sitting by the pool from behind, his bum is sticking out. Some women may find that attractive but I don’t think it looks classy at all. You make a good point. I guess I based my comment more off of what I know about the brand than the actual appearance of the trunks in Skyfall. I searched for the still of Craig by the pool and I agree with you entirely. Another couple inches of rise would have done a lot of good.